Join Mary Ann Esposito in Seaport on Thursday February 28th for a 4-course dinner & wine tasting showcasing recipes from her new cook book. This event will be held in a private room at Tuscan Kitchen Seaport. 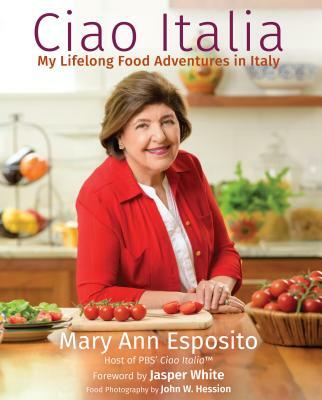 4-Course Italian Dinner featuring recipes from Mary Ann’s latest cookbook Ciao Italia: My Lifelong Food Adventures in Italy. Welcome Prosecco glass, cocktail hour, & 3 course dinner.